The expert team at JDK Legal Services is here to help navigate you through any personal injury claim. We understand the legal process involved and can provide advice and assistance to ensure your claim is handled swiftly and efficiently. At JDK Legal Services, you will receive a reply to your enquiry within 24 hours (excluding weekends and public holidays) and talk to the same person throughout the process. Have you suffered an injury as a result of an accident at work? You may be eligible to make a claim for workers’ compensation. This also applies to any injuries which occur at work or as a result of work and any pre-existing injury, illness or disease which is worsened by your employment. You should report the incident to your employer, complete a WorkCover claim form and see your doctor to obtain a workers’ compensation medical certificate. The WorkCover claim form and medical certificate are lodged with your employer who will forward these documents on to the relevant insurance company. If you claim is accepted by your employer’s insurer then you may think you don’t need our assistance. However, it is always a good idea to see a lawyer to make sure you are getting all of your legal entitlements and to make sure that you receive advice regarding the critical deadlines under the workers’ compensation system. If you have been paid workers’ compensation payments you may find yourself in a position where the insurance company seeks to reduce or discontinue your payments. Call Kate Dempster for a personalised solution for your particular situation who will either work directly with you or she will supervise another solicitor in her team to work with you. Kate and her team have a wealth of experience with a caring, individual approaches designed to deliver the best outcome possible for you. We work with our clients in all aspects of personal injuries. We work with a strong network of advisors in law, accounting and medical professionals to ensure you have the very best resources. We guide you through what can sometimes seem like a complex legal system and you will feel supported and informed working with us. 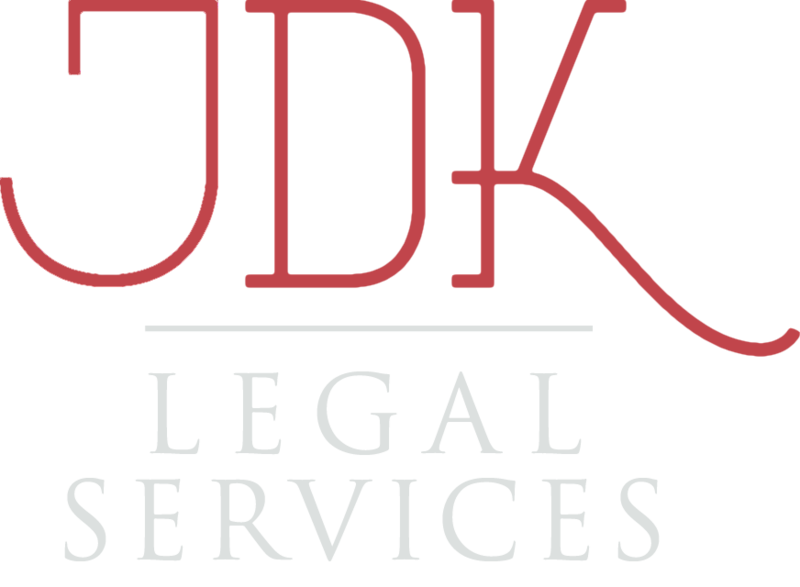 At JDK Legal Services we pride ourselves on our values in business: we are honest, transparent, reliable and care about our clients’ best interests. We look forward to working with you. The Comcare workers’ compensation scheme covers Australian public service employees of the Commonwealth Government and employees of companies licensed to operate under the Comcare scheme. If you are covered by the Comcare workers compensation scheme and you suffer an injury at work or you develop a disease which your doctor says is contributed to by your work then you need to obtain legal advice. Kate Dempster will be able to guide you through the legal processes and procedures and provide you with advice which provides a personalised solution for your particular situation. Kate will not be able to take away your injury or disease but she can assist in lowering your stress levels in dealing with the legal processes and procedures. Have you been involved in an accident? It doesn’t matter whether you were in a car or on a motor bike or cycling. As a first step, it is important to lodge a claim with the Insurance Commission of WA (“ICWA”). You may need to obtain advice if ICWA is not paying your medical bills or you need advice regarding the settlement of your outstanding claim. Call Kate Dempster for a personalised solution for your particular situation. Kate and her team have a wealth of experience with a caring, individual approaches designed to deliver the best outcome possible for you.